Are you ready to remodel or renovate your yard? As you come up with ideas for your landscape design, it’s helpful to know the difference between hardscape and softscape. Hardscaping typically refer to heavier elements such as walkways, patios and pools normally requiring a specialized landscape contractor. Softscaping refers to other landscaping elements such as gardening and lawn care, which can be done by the homeowner or by a hired professional. Read this article further to learn more differences between hardscape and softscape to better prepare you for your landscape design. Look at your yard and imagine what you want most. Do you want the entertaining backyard with a beautifully designed swimming pool and a large patio with space for an outdoor kitchen? Or maybe you are looking for a relaxing oasis with the calming sounds of a waterfall and a space to sit and watch the stars next to a relaxing fire. 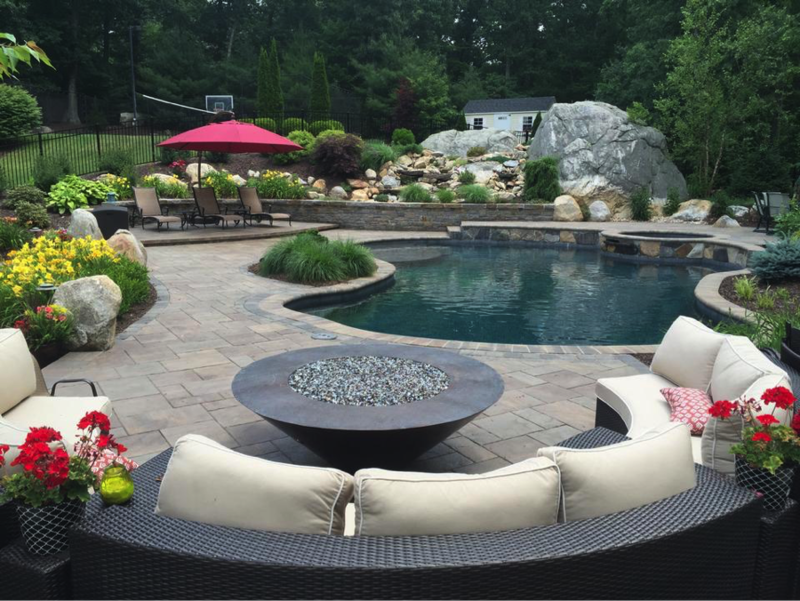 As these features take a little more technical consideration for a well-crafted design and installation, it’s beneficial to hire a professional landscaper that skills specifically align with hardscape design. Click here to see more examples of hardscape elements that you can incorporate into your landscape project. Softscape, although not as technical, helps bring color and life to your yard. Flowers, grass and shrubs combined with hardscape features give the yard the right balance. Most homeowners will hire a landscape contractor for the hardscape design and then add the softscape elements their self once the project is completed. As hardscaping elements are incorporated first in landscaping projects, it’s important to work with the contractor to decide what features you want around your yard and what spaces should be left available for softcape elements. For instance, you want to add a pond to your backyard surrounded by flowers and shrubs with a stone walkway leading you to it. As the contractor draws out his plans, you can tell him how much space you want around the pond and near the walkway to add softscape features. Both features work together to bring harmony and transform your home’s backyard. 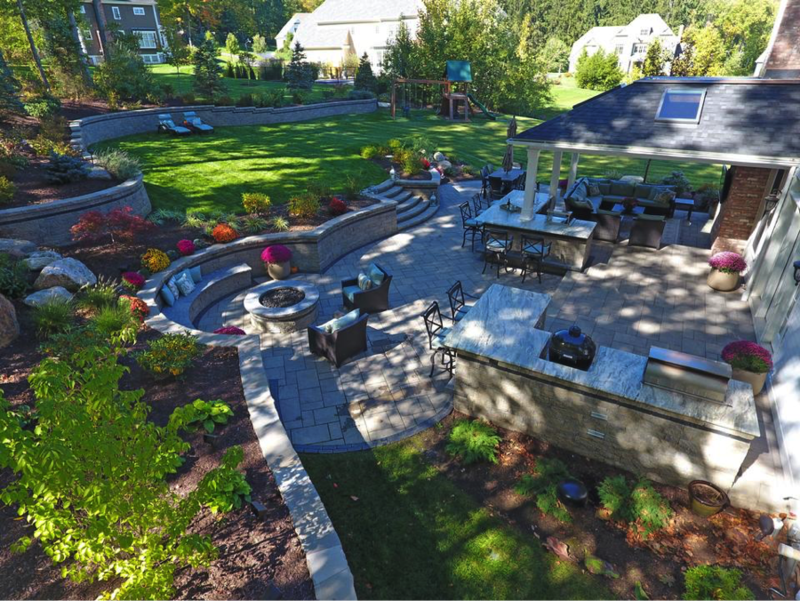 Specializing in hardscape landscaping, Clarke Landscapes LLC is a full service landscape contractor CT dedicated to providing our customers with an outdoor space that fits their needs and vision. We are committed to offering creative and innovative designs and delivering expert craftsmanship on all of our projects. 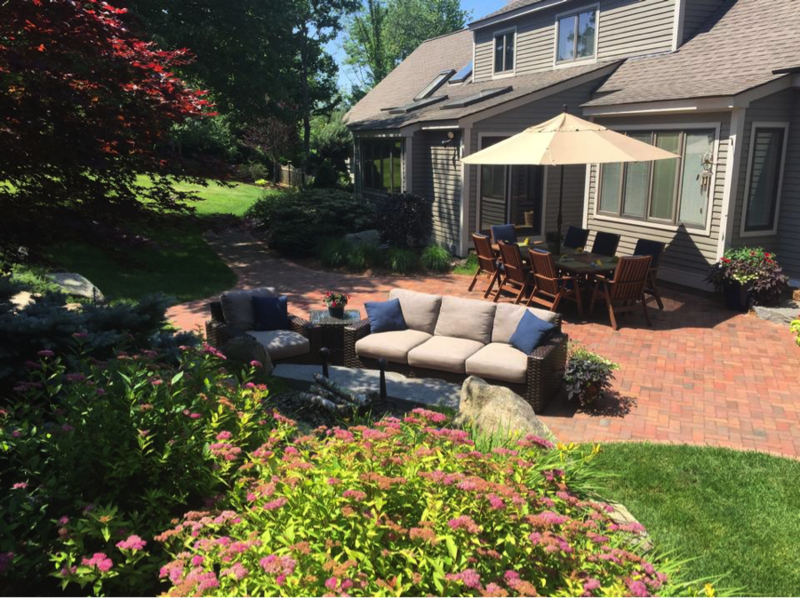 We service all of central Connecticut and work closely with our customers to design, build and create great landscapes for them to enjoy for years to come! Combining a great staff with extensive resources and quality materials, we are fully equipped to handle any landscaping project.